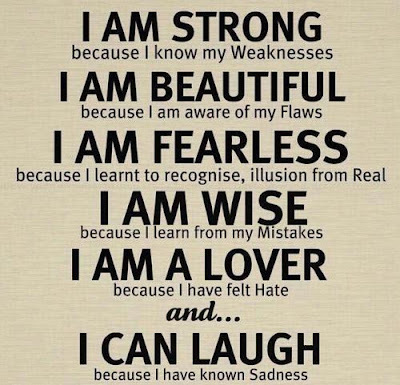 "I am strong because i know my weaknesses. I am beautiful because am aware of my flaws. I am fearless because i lean to recognize, illusion, from real. I am wise because i learn from my mistakes. I am a lover because i have felt hate and I can laugh because i have known sadness..."